Sticking with the same dried flower head, moving to fine markers. 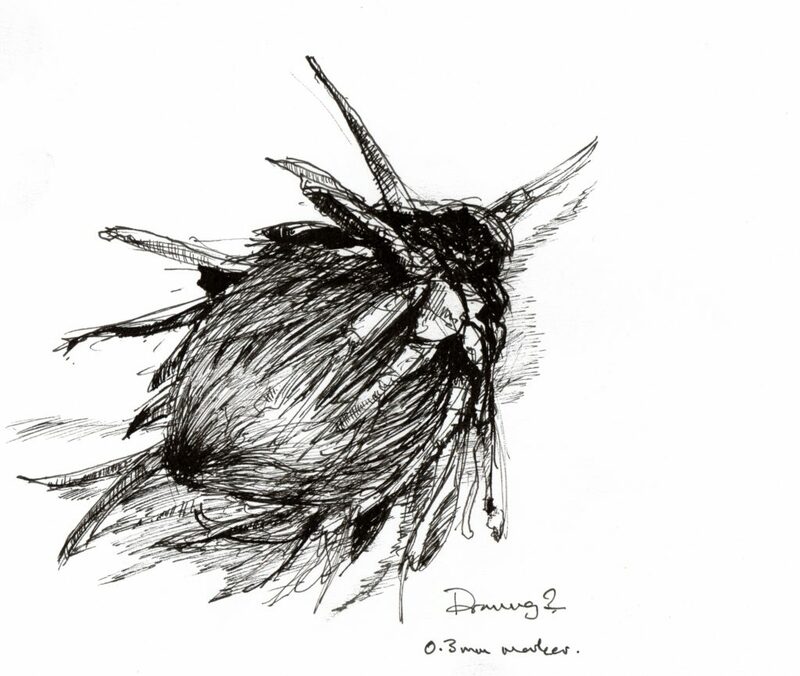 Drawing two is a quick study in 0.3mm marker. Drawing three looks more closely at how the petals/leaves grow cyclically. It’s easy to think they’re concentric rings but they’re not. 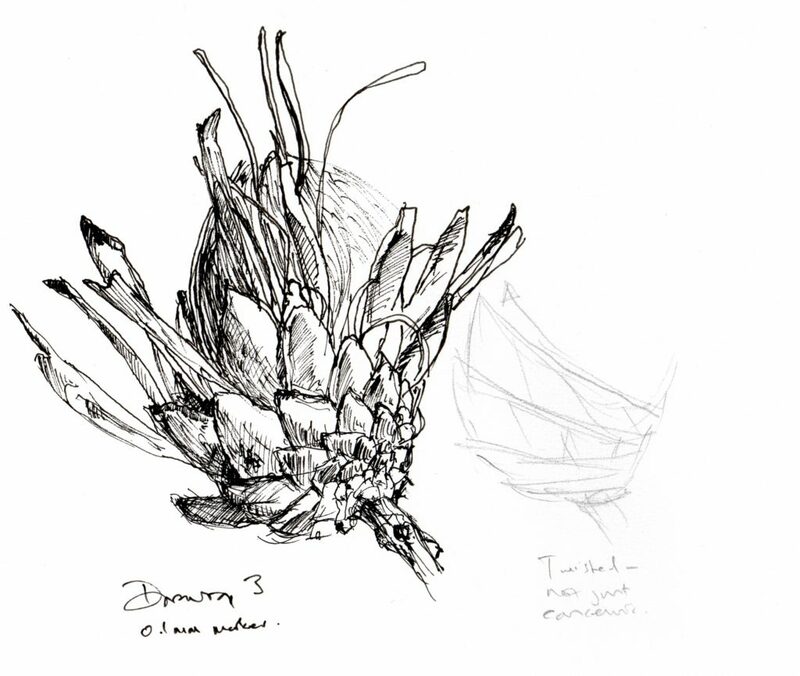 Drawing four – just focusing on the stem in detail; how it grows in segments and how the outer bark has split.